For those who don’t speak a word of German, arriving in Berlin, just like in any other Germany city I believe, can be a bit scary, with all those weird and long words that you wonder how it is possible to pronounce them without taking a breath in the middle, but once you get used to it, you realise everything is very simple. Sometimes when we think about Berlin, what comes to our mind first are those sad and grey times of the Cold War Era, making us believe that Berlin is all about block greyish buildings, or that Berlin is filled with the scars of the Second World War, but it is not so true. After years of globalization and modernization, Berlin changed it’s topography a lot. I remember my teacher saying, years ago, when she went to Berlin, she could easily distinguish the East and West side of the wall just looking around, because one side was far more developed than the other. Arriving there nowadays you will see a very different reality. Turned out it is one of my favourite cities nowadays. There are so many things to do in Berlin that I would recommend you spend at least one week there, but I know it is not always possible, so here goes a guide for those staying 3 days in Berlin. Berlin has amazing museums, personally, many of my favorite museums are in this city, so if you are planning to visit many museums during your staying there, I recommend buying the Museum Pass Belin that gives your entrance to 30 museums. Berlin breathes history and art, you can find fragments of different periods of its past in every corner of the city. It has more than 170 museums and galleries, innumerable tourist points and one of the most eccentric nightlife in Europe. There are too many things to see and do in Berlin, and it hard to leave the city without willing to come back as soon as possible, but with this itinerary of 3 days in Berlin, you will be able to see the most important areas and buildings. In my opinion, the best way to wander around cities is by bus, it is not as fast as a metro, but at least gives you the chance to actually watch from the window the city’s life while you pass by. In Berlin, there are two bus lines (number 100 and 200) that pass close to many of the touristic points. The Bus terminal, as well as the RE (train) terminal, is right in front of the Tiergarten Zoo, so if you are staying nearby, it’s an easy place to catch the public transport and keep in mind in case you need to localize yourself. Another fun way to visit the tourist attractions in a more fast way is to take the Hop On Hop Off bus (you can buy it here). In Berlin, we opted for this option as there are some important points far away from each other, so it would be more convenient, plus the tour with the bus is available in 13 different languages, and as my mom doesn’t speak English, it was great for her as she could understand the explanations. You can take one of these two buses mentioned above and head to the Brandenburg Gate, one of the most famous landmarks of Germany, finished in 1791, this is the only remaining gate in the city out of 18 that were built. The Quadriga atop of the gate was once seized by Napoleon and sent to Paris, but retrieved to Berlin in1814. Close to the Brandenburg Gate is the Reichstag, the German parliament, damaged during the Second World War it was rebuilt and its original dome replaced by its famous glass dome. 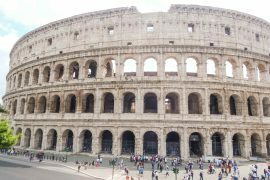 Nowadays it is possible to visit the dome, but it is necessary to buy a ticket. In case you don’t want to visit the dome or ate not able to, you can always enjoy the yard in front of the building, a picnic is always a good idea. From the Brandenburg Gate you can also visit the Memorial to the Murdered Jews of Europe, an area covered with 2,711 concrete slabs in honor of the Jews killed during the Second World War. Following the avenue in front of the Brandenburg gate, you can take the bus or walk straight until the Berlin Cathedral. Although you need to pay to visit inside, the building itself is already worth a picture. The Cathedral is located in the Museum Island, and if you are a fan of museums like me you can pick one of two (depending on your speed) to visit today, or just wander around the buildings admiring their different architectures. The Island is home of 5 museums, among them the Pergamon Museum that houses the famous Pergamon Altar, which gave the name to the museums and the Neues Museum, home of the famous bust of the queen Nefertiti. 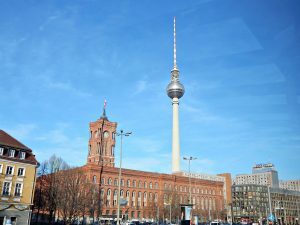 In the same avenue you followed to arrive at the Berlin Cathedral, you can keep walking straight, or take the bus to the Alexanderplatz, the famous square, there you will find some shops, restaurants, the World Clock and the great Fernsehturm, also known as the TV Tower. It is possible to climb the tower, there you find a restaurant with panoramic view, if you are not up to eat there, perhaps because you can find cheaper food anywhere else, you can shamelessly buy some water as an excuse to admire the view, and thank me later for the tip. Well, there is nothing much to do in the Gendarmenmarkt Platz, but the buildings are worth a view. In the center, you will find the Concert Hall and the German and French churches in its sides. 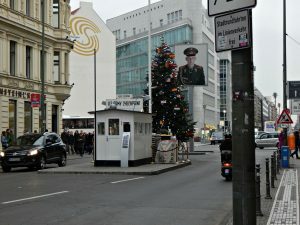 Close to the Gendarmenmarkt Platz is the Checkpoint Charlie or Checkpoint C, the last remaining Checkpoint from the Cold War era. There were three crossing between the West and East side of the wall. It was named by the Allies using the phonetic alphabet. In front of the Checkpoint, there is a place where you can take photos with two people dressed like soldiers. Following the avenue Zimmerstraße, in a walk distance there is the Topography of Terror, a center for documentation of Nazi crimes, built in the same site were headquarters of Gestapo and SS used during the Nazi regime. The entrance is free. Close to the Topography of Terror is the famous Potsdamer Platz, an important square and traffic intersection. The place needed to be completely rebuilt after the Second World War. Nowadays it’s an area surrounded by modern buildings, including the Sony Center, a kind of high-tech building full of restaurants and stores, the best moment to visit it is at night as they turn on the lights and you feel like in another World. Now, let’s go to the oldest neighborhood in Berlin, the Nikolaiviertel, a truly classical medieval center that shows us a glimpse of how life was back in 1237, walking around you will find yourself surrounded by beautiful old buildings, among them, the famous church, called Nikolaikirche built between 1220 and 1230. Crossing the Spandauer Str is the Rotes Rathaus the town hall of Berlin. Following straight in this avenue until the next crossing, there are the Radisson building, there you find a hotel, restaurant, the Sea Life Berlin, house of the largest cylindrical aquarium in the world, and also the DDR museum, an interactive museum that transports you to the Cold War era, you get the chance to experience how life was like for those living on the East side of the walls, it is a unique experience. After walking around s much you probably already saw some parts of the Berlin wall, but nothing impressive so far, I bet you are asking yourself “well, ok and where is the part where I actually see the wall I saw on the Google Images?”. So here is the moment where you go straight to the East Side Gallery, kind of away from the city center, here you will find those polemic paints you saw on Google. You will still have some time left to wander in this part of the city after leaving the East Side Gallery, my suggestion is that you cross the river, and in the other side of it, there is the Markthalle Neun, a market that sells all kind of street food, from all over the world! It’s a chance to try some more Germany dishes and spend the rest of your euros before saying bye to Berlin. Really enjoyed this post. Seems like you hard a wonderful time. I go to Berlin a lot but I pretty much just hang out, eat, party, and spend time with friends. I feel like I wouldn’t know the first thing to recommend to fellow travelers. Thank you for this! It solves that problem. I always tend to lean towards subways when I travel, but you’re absolutely right – you’ll see more if you stay above ground and take the bus! Berlin is such a fascinating city, I saw it very briefly years ago, but hopefully I’ll get a chance to see it again sometime. Thanks for a well laid out itinerary! Thank you for the tips! I can hardly wait to go to Berlin now. 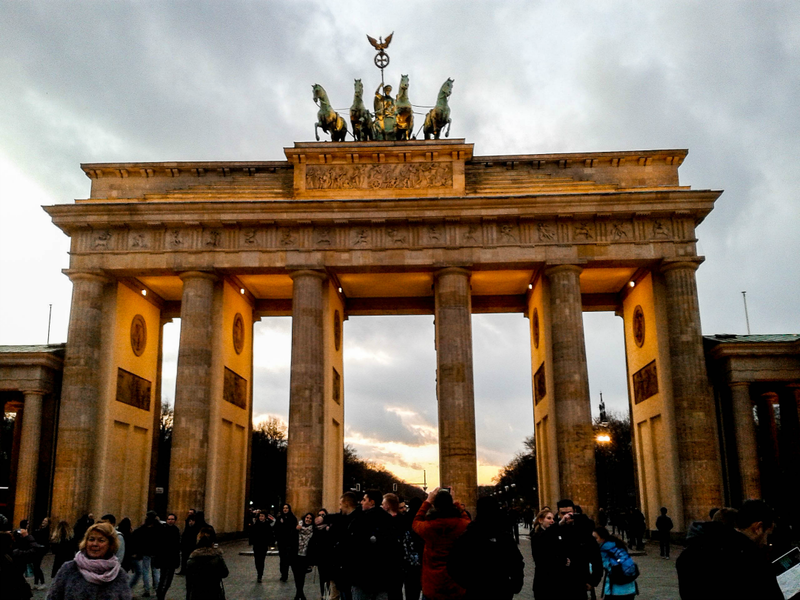 I just love Berlin – so much can be done in 3 days! Very thorough and great article. Great history here as well. I’m bookmarking for future reference. This is a great article with loads of info on Berlin – really makes me want to go! Thank you for sharing, this was very informative! I haven’t been to Berlin in 23 years lol I’m due a visit. 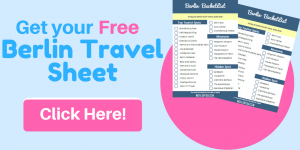 I loved all of the history you included along with the sightseeing pro tips! Great post! 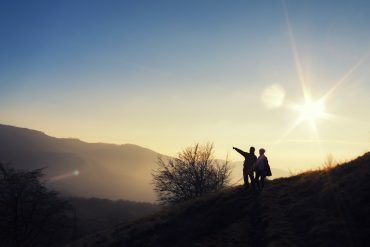 Really great articles for first-timers, bookmarking for later! This is such a helpful post! I’ve been wanting to go to Berlin for ages and I have to admit the whole language thing totally freaks me out!!! 🙂 Thanks!! Love your post! I’ve been to Berlin once when I was little but I don’t quite remember, so I really want to go another time! Do you have any tips for going out at night as well? 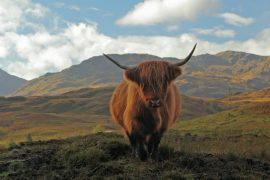 A very helpful and interesting blog for a newbie travelers. I was in Germany last Christmas and New Year and I am thinking of coming back hopefully this year. Awesome!!! Keep writing a good stuff like this.